Military inspired garments are the darlings of fashion, from the runways of Fashion Week to Street Wear. Print, web and blog sightings have been subconsciously stored in my Tickler file. So when BDUs (Battle Dress Uniform) appeared in Mills Fleet Farm www.millsfleetfarm.com, I impulsively grabbed several, got them home and panicked: can’t resell on Etsy as is. A ‘HELP’ call to Daughter got the perfect Neupurpose–add a hood. Check out the results on Etsy/Neucarol. 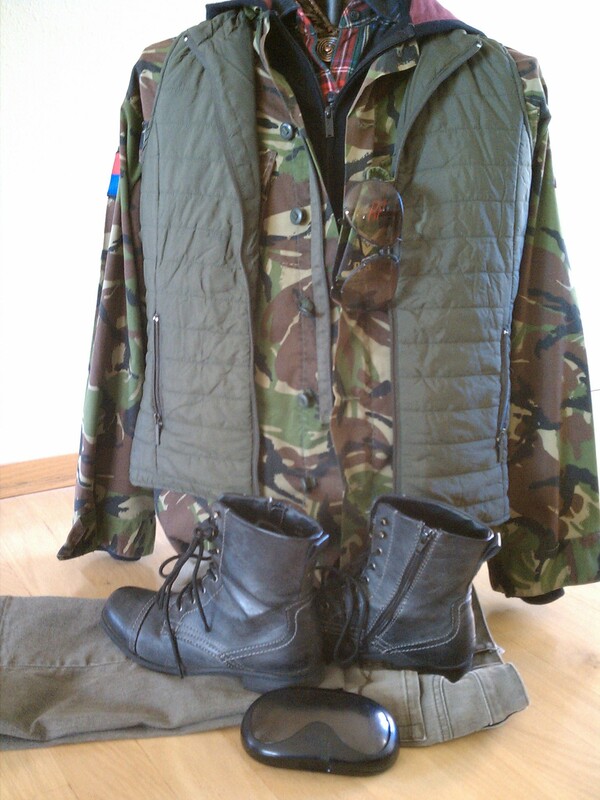 Military clothing is readily available on the web: eBay is good and Google ‘military’ for other sites. To add a hood, use one of your own sweatshirt hoodies or shop consignment stores. Tip: donation shops may accept anything so watch out for excessive wear. Measure military shirt collar length at neck (where collar is attached to shirt). Neckline of hood should equal collar neckline. Sweatshirts are usually larger than shirts of comparable size. However, I have not found this to be an issue probably because the military shirts are men’s sizes and the hoodies are women’s sizes. It is possible to alter the hood but is probably not worth the time and effort to refit to the original construction. 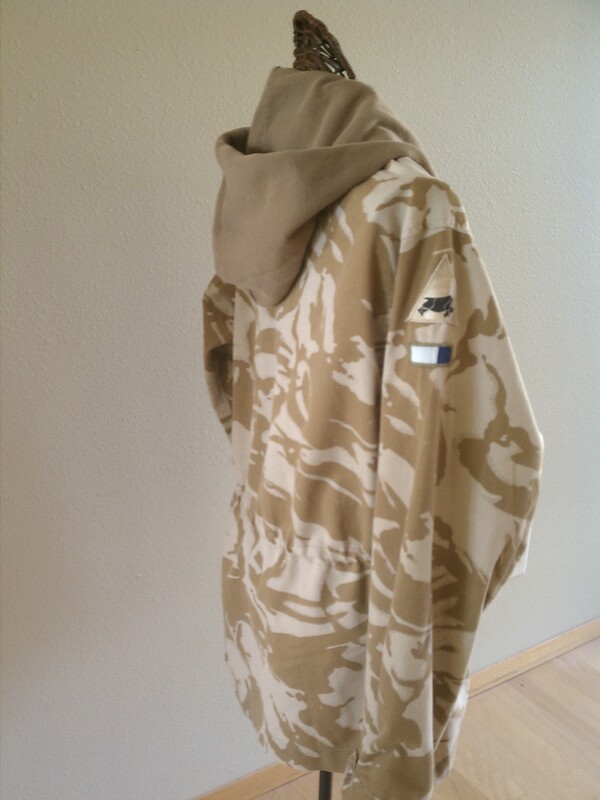 Pin sweatshirt to military shirt (hood on top of shirt, right sides together) matching neckline seams; stitch together with sweatshirt/hood on top. When satisfied with stitching, cut off body of sweatshirt. My experience is that the weight of the entire sweatshirt anchors the seam in place, so I trim after joining the two garments. No need to finish the cut edge–fleece doesn’t ravel. Wear with T and jeans; layer over sweaters and skinny jeans/leggings. 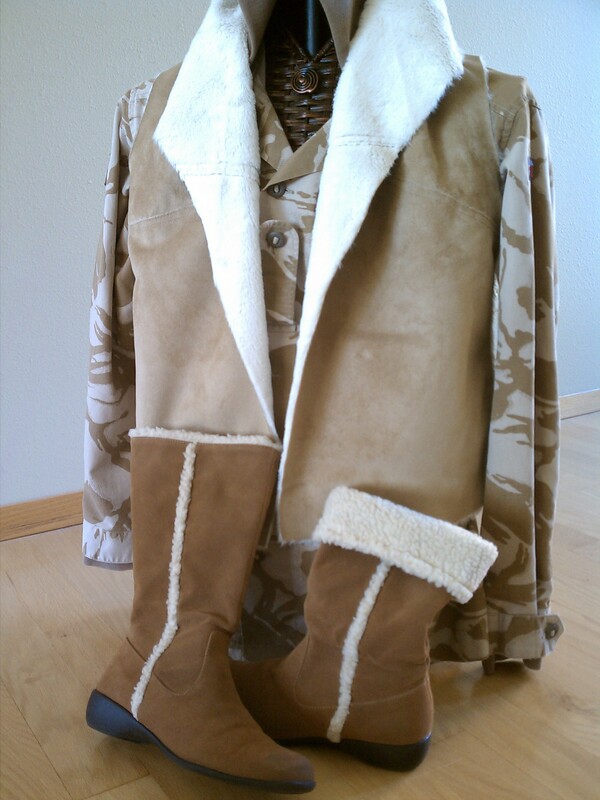 Accessorize with oversized scarves, boots, flight bag, and aviator glasses. Quite fun, especially styling the Inspiration photos from my closet. over plaid flannel shirt, green vest and jeans, “combat” boots and my vintage Carrera shades–outfitted with trifocals! 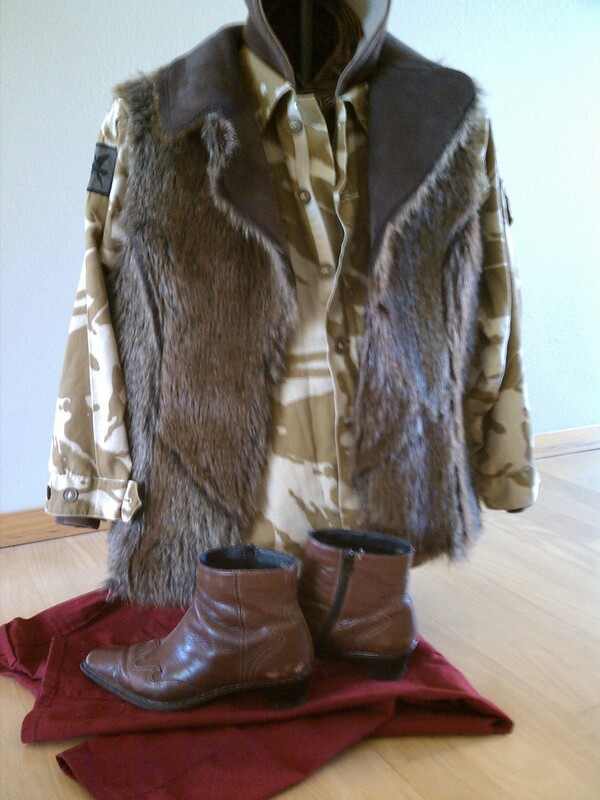 This entry was posted in FIBER FASHION FUN and tagged BDU, Camo, camouflage, Etsy, miltary fashion, Neucarol. Bookmark the permalink.